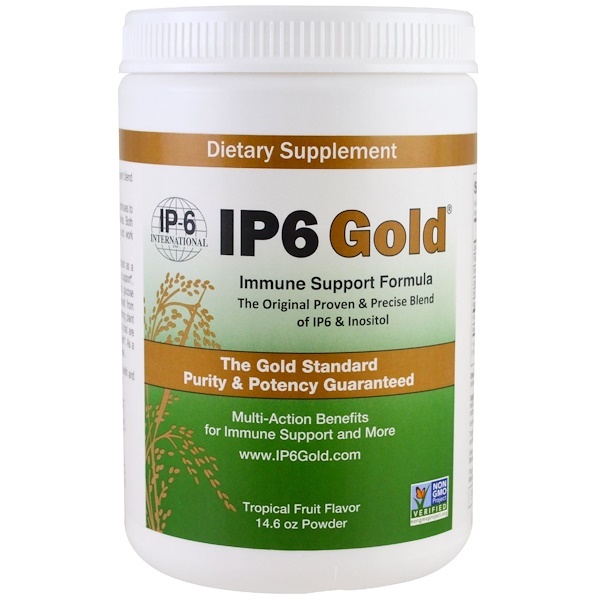 IP6 Gold is truly a multi-action formula that is recognized as a potent antioxidant, provides comprehensive immune support, promotes a healthy cardiovascular system, supports glucose metabolism, healthy renal function and more. 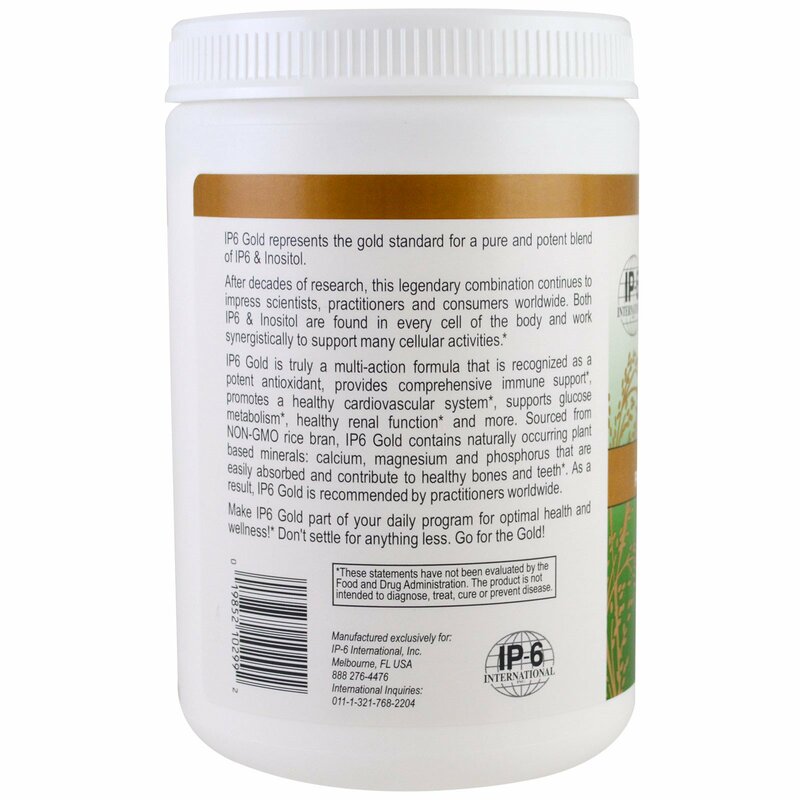 Sourced from non-gmo rice bran, IP6 Gold contains naturally occurring plant based minerals: calcium, magnesium and phosphorus that are easily absorbed and contribute to healthy bones and teeth. As a result, IP6 Gold is recommended by practitioners worldwide. Make IP6 Gold part of your daily program for optimal health and wellness! Don't settle for anything less. Go for the Gold! One level scoop dissolved in 6-8 oz of water or your favorite drink, twice per day or as directed by a health professional. Most effective when taken on an empty stomach. One scoop equals 8 IP6 Cold capsules. Gently shake canister due to settling during transit. Organic rice syrup solids, citric acid, natural mango flavor, natural passion fruit flavor, stevia extract. 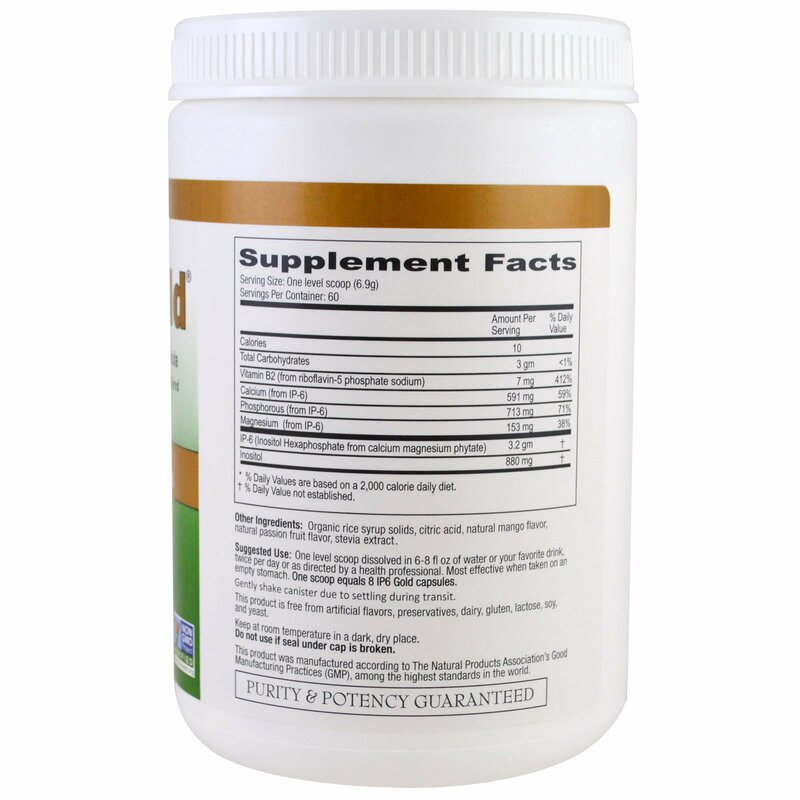 This product is free from artificial flavors, preservatives, dairy, gluten, lactose, soy, and yeast. Do not use of seal under cap is broken. * % Daily Value are based on a 2,000 calorie daily diet.